The New York Red Bulls are the biggest favorites in Major League Soccer this weekend. The Red Bulls only have one point on the board so far, but they were off last week, after a 1-1 draw at Columbus in their season opener -- a game in which they fielded an under-strength side, due to still being alive in the CONCACAF Champions League. They've now been eliminated from the Champions League, and will be at home against a San Jose team that lost its opening two games at home, and now has to travel cross-country. Daniel Royer was rested for the Red Bulls' MLS opener. But he was red-hot in the Champions League, scoring a goal in both legs of their Round of 16 victory over Atletico Pantoja, and another goal in their quarterfinal second-leg loss to Santos Laguna on Tuesday. Royer also scored 13 league goals last season, and 14 the year before that. He'll be my Tier 2 midfielder this week. Bradley Wright-Phillips was also rested against Columbus, and could make his MLS season debut against San Jose. He did not score a goal in four Champions League appearances, but did take 11 shots, with seven of them on target, and had an xG (expected goals) total of 2.65. But the main reason I'm not going with Wright-Phillips at Tier 1 forward this week is that he only finished 17th in the league in fantasy points last season, despite being tied for third in goals with 20. Wright-Phillips averaged only 2.4 shots per game, and didn't pick up a lot of points via peripheral categories. Zlatan Ibrahimovic did not play last week due to injury, but scored a goal and took five shots in the LA Galaxy's 2-1 win over Chicago on the opening weekend. Ibrahimovic was second in the league in goals last season with 22, despite only making 27 appearances, and led the league in points per game. It remains to be seen whether Ibrahimovic will be available for Saturday night's game against Minnesota, but I think it's worth waiting for. If he doesn't start, you'll still have other good options available -- including Minnesota's Darwin Quintero, who leads the league in points through the first two weeks of the season, and Atlanta's Josef Martinez, who led the league in goals and points last season. 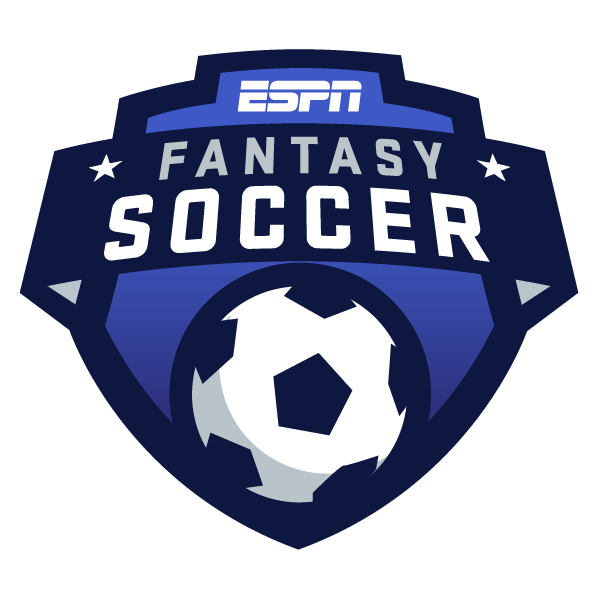 Portland only have one point from their first two games, but Diego Valeri is off to a good start fantasy-wise. He had a goal, an assist and nine chances created in a 3-3 draw with Colorado in the Timbers' opener, and picked up his second assist in their 4-1 defeat at LAFC last week. The Timbers will be on the road again this week -- in fact, they will play their first 12 games of the season away from home, while Providence Park undergoes a major expansion. But Portland will be up against expansion side FC Cincinnati, who only conceded one goal to Atlanta last week, but conceded four to Seattle the week before. Valeri finished third in the league in fantasy points last season, and I think he's the best option at Tier 1 midfielder this week. Gyasi Zardes was the only player to score two goals last weekend, leading Columbus to a 2-0 victory at New England. He also scored 20 goals last season, tying him with Wright-Phillips for third in the league. However, Zardes is an even more goal-dependent player than Wright-Phillips. He finished 26th in the league in fantasy points last season, despite those 20 goals. Zardes didn't have a single assist in 3,248 minutes. That being said, Columbus have a win and a draw in their first two games, and are favored at home against Dallas this week. And not many Tier 2 forwards are off to fast starts. Zardes is my choice this week. Tomas Martinez, Houston Dynamo (Tier 3 midfielder): He picked up his first assist of the season last week, and took a team-high four shots, with three of them on target. The Dynamo have a win and a draw in their first two games as well, and are favored at home against Vancouver, who have lost both of their first two games. Matt Besler, Sporting Kansas City (Tier 1 defender): He's averaging 76 passes completed and 6.5 clearances through the first two games of the season, finishing in double figures in fantasy points each time. Sporting KC are slight favorites despite playing at Colorado, and figure to have more of the ball -- they're seventh in the league in possession (56.7 percent), while the Rapids are 20th (39.6). Kelvin Leerdam, Seattle Sounders (Tier 2 defender): It's hard to make a switch here, given that Leerdam has scored a goal in each of Seattle's first two games. The Sounders hit the road for the first time this week, playing at Chicago. But Leerdam also has a decent floor for a fullback, with 48 passes completed in each game so far. Bill Hamid, D.C. United (Goalkeeper): He has kept a clean sheet in each of the first two games of the season, against defending champions Atlanta United, and then at NYCFC (making six saves at Yankee Stadium). Now Hamid will be back at home, against a Real Salt Lake side that has only scored two goals in two games, one of which was a penalty kick.